While visiting the North Rim of the Grand Canyon I had a fleeting view of this wonderful squirrel called the Kaibab Squirrel as it hid in the ponderosa pines along our trail. It had a fabulously large white tail...frankly that's all I really saw. I was intrigued. 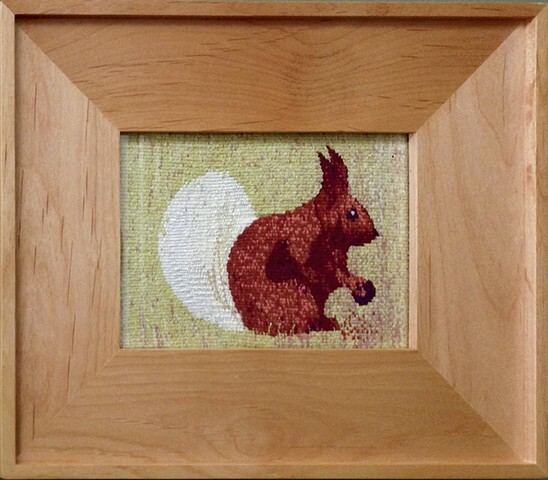 Here is a small format tapestry woven in silk of that squirrel which only lives in the North Rim on the Kaibab Plateau.